Black Sheep Standard Complete Skateboard packages $99.95 everyday special instore and now available in our online store as well. Ready to roll! 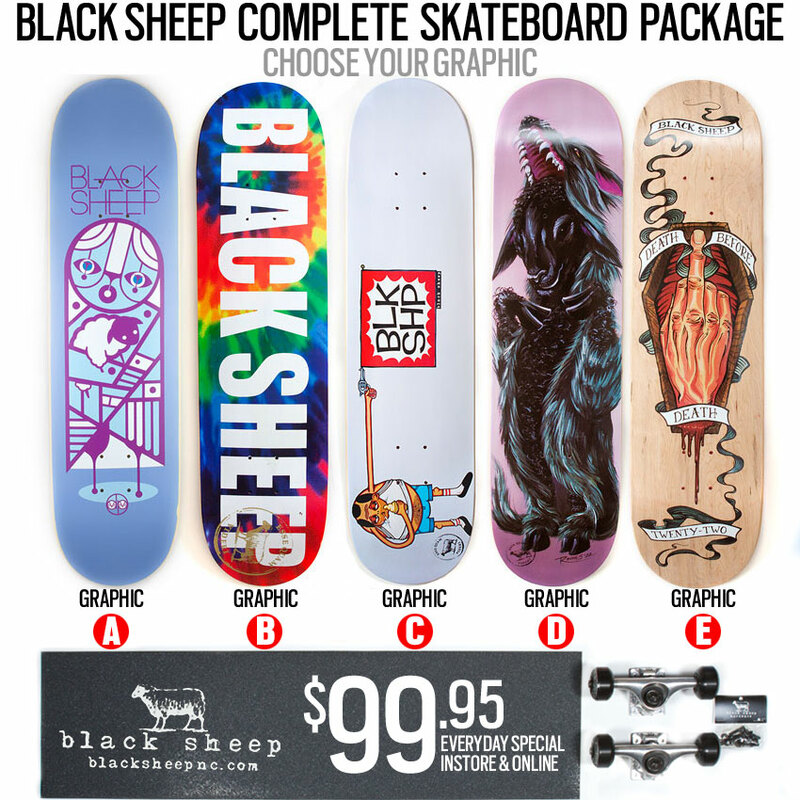 Package includes your choice of Black Sheep deck with professional grade components – Tensor Trucks, Darkstar 52mm Wheels, Darkstar Bearings, Black Sheep standard 1″ hardware and standard black griptape. Great setup for beginner or novice. Assembly included. Stop by 1504 Camden Road, Charlotte NC for instore pickup or visit shop.blacksheepnc.com to purchase online. More Black Sheep gear available! Stop by the shop at 1504 Camden Road in Charlotte, North Carolina and check the collection in person or visit our online store at shop.blacksheepnc.com to view additional items. Fast shipping with the same great service, and now offering FREE SHIPPING on all order over $79* — simply select UPS Ground as your method of shipping and the discount will automatically apply or use promo code FREE79 at checkout. Log on and shop now. *Offer valid for UPS Ground within the Continental U.S. only. No limit usage. Does not apply for specialty or custom orders. 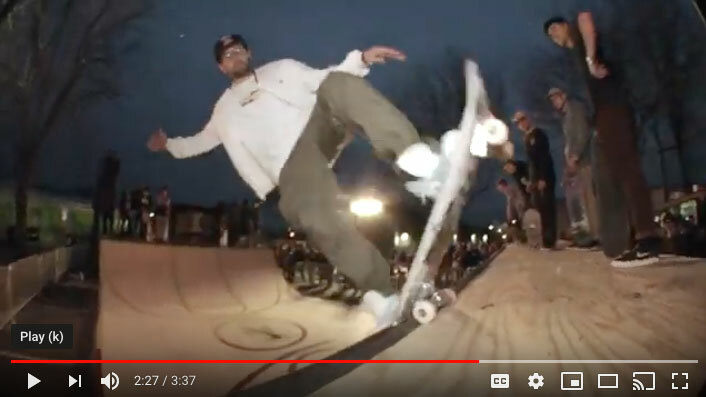 Nike Block Party recap video celebrating NBA All Star Weekend in Charlotte NC 2019. 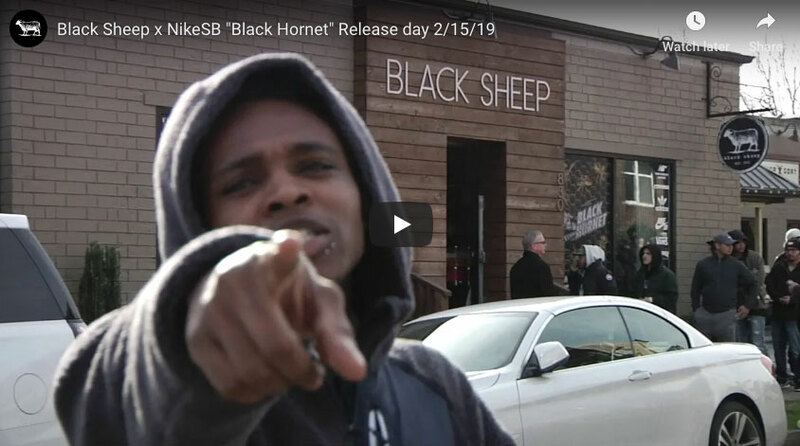 Nike SB promo clip featuring Justin Brock celebrating the release of the Black Sheep “Black Hornet” Dunk High Quickstrike. 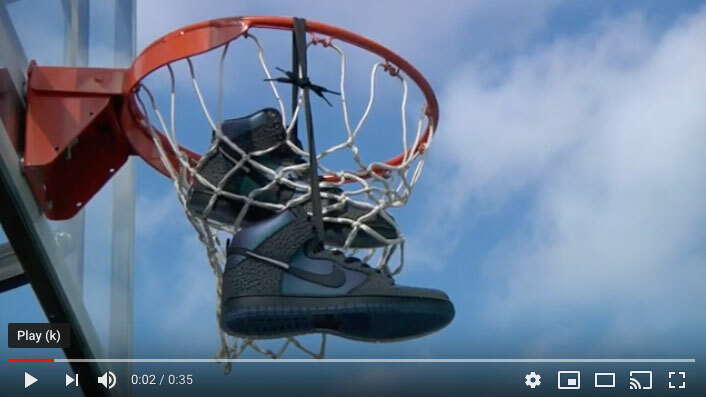 Recap Video celebrating the release of the Black Sheep “Black Hornet” Dunk High Quickstrike.